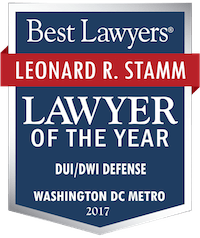 MVA Category Archives — Maryland DUI Lawyer Blog Published by Maryland DUI Attorneys — Goldstein & Stamm, P.A. No Interlock Allowed for Out-of-State Drivers – Will it Change? Under current Maryland law, if a driver is arrested for a DUI, he or she will be asked to submit to a breath test for alcohol. If the result is 0.08 or more but less than 0.15, the person faces a driving license or privilege suspension of 180 days. If at a hearing challenging the suspension, the suspension is sustained, the Administrative Law Judge (ALJ) holding the hearing has discretion to allow the driver to drive to and from or during the course of employment, alcohol education, education, and for medical purposes for the driver or family members. If the driver blows .15 or more, the suspension is also 180 days for a first offense and 270 days for a subsequent offense, but the only option for the ALJ is to allow the driver to drive only with an ignition interlock in the car for one year. Similarly, if the driver refuses to take a test, the penalty on a first offense is 270 days or two years for a subsequent offense, and the ALJ can only allow the driver to drive with an ignition interlock in the car for one year. Although these suspensions may be challenged at an administrative hearing, if the challenge fails, the ALJ’s options are limited as noted above. However, the Maryland Motor Vehicle Administration does not allow out of state drivers to participate in the Ignition Interlock System Program. This critically affects drivers who live outside of Maryland but work here. The only option is to challenge the suspension, and appeal any defeats. But if that effort fails, the driver is SOL. Hopefully the legislature will remedy this situation soon. Stay tuned. Starting with the Supreme Court’s decision in Terry v. Ohio, in 1968, police have been allowed to stop a person without probable cause if they have an articulable reasonable suspicion that the person has, is, or is about to break the law. Under the exclusionary rule, the government is not allowed to use in court evidence obtained in violation of the Fourth Amendment. The exclusionary rule exists to deter officers from breaking the law. If you have been following the news lately you have heard that Maryland has joined the states that require interlocks in all DUI cases, even for first offenders blowing under 0.15. For example, see Md. lawmaker: Slain officer Noah Leotta ‘is still on the job’ in the Washington Post. However a close examination of the record reveals over 50 changes to the original version of Noah’s law contained in the Conference Committee Report. A key provision in contention would have required a first offender with a test result of 0.08 or higher but less than 0.15 to get an ignition interlock for 90 days. The House had rejected that provision. However, that provision was contained in the third reading of the Senate Bill 945. (The House and Senate had both already stricken a provision requiring defendants charged with DUI or DWI but only convicted of reckless or negligent driving to get an ignition interlock). In the end, the House and Senate Conference Committee compromised. They increased the length of the suspension to 6 months, but reinstated a provision that allows alleged offenders to request a hearing to get a permit that allows driving for employment, alcohol education, education or medical purposes for the licensee or family members, without obtaining an ignition interlock in the car. So while a 6 month interlock is an option, it is not a requirement in the new law. The new law, which takes effect on October 1, 2016 (assuming the Governor signs it), also requires ignition interlock for defendants convicted of drunk driving (for 6 months, one year, or 18 months). But in Maryland most of them are second offenders, since most first offenders found guilty end up with probation before judgment (PBJ) – not a conviction. The Maryland House of Delegates took the courageous step of passing Noah’s Law, HB 1342, with substantial amendments. The amendments make the bill a much more rational and humane way of encouraging sober driving while not unnecessarily punishing social drinkers or putting them out of work. The law deals with test failures and refusals before court and the effect of convictions after court. Under current law a person who submits to a test and has a reading of 0.08 or more and less than 0.15 faces a 45-day suspension for a first offense and 90-day suspension for a second or subsequent offense. On a first offense or a second or subsequent offense more than five years after the first the suspensions may be modified by an administrative law judge to allow restricted driving for purposes of work, school, alcohol education or treatment, or medical treatment for the licensee or family members. Noah’s Law changes this to increase the suspension periods from 45 to 90 days and 90 to 180 days. The proposed law also eliminates the work etc. permit provision and requires these offenders to get an ignition interlock for the period of suspension. The House amendments restore the work etc. permit but leave the increased length of suspensions in place. Noah’s Law – helpful or hurtful? The anti-DUI lobby in Maryland has put together a massive effort to pass HB 1342/SB 942 called the Drunk Driving Reduction Act of 2016 – Noah’s Law, in memory of Montgomery County police officer Noah Leotta, who was killed by a suspected drunk driver last December. The bill proposes a number of changes to Maryland law. MVA penalties for a test result of 0.08 or more but less than 0.15 would be increased from a suspension of 45 days on a first offense and 90 days on a second or subsequent offense would be increased to 90 and 180 days respectively. Critically, instead of first offenders being able to drive with a permit restricted for work, education, alcohol education, or medical purposes, all of these drivers would be required to install an ignition interlock for this period of time. MVA penalties for a test result of 0.15 or more would be increased from a suspension of 90 days on a first offense and 180 days on a second or subsequent offense would be increased to 180 and 270 days respectively. Instead of ignition interlock being optional for these offenders, it would now be mandatory. The Supreme Court grants cert in three cases – can a refusal to consent to a test of blood or breath for alcohol be made a crime, punishable by jail? The Supreme Court today granted certiorari in three cases Birchfield v. North Dakota (14-1468); Bernard v. Minnesota (14-1470); and Beylund v. North Dakota (14-1506). These cases raise the question left open after the Court’s decision in Missouri v. McNeely, 133 S.Ct. 1552 (2013): can a state make the refusal to submit to a breath or blood test for alcohol a crime, punishable by imprisonment? Police are presumptively required to obtain a warrant before obtaining a blood test for alcohol. Missouri v. McNeely, 133 S.Ct. 1552 (2013). The Supreme Court will now decide whether a warrant is required for a breath test, whether the refusal to consent to a breath or blood test can be made a crime, and whether advice that refusal is a crime carrying a possible jail sentence renders any consent to submit to a breath or blood test coerced and involuntary. However, relevant authority and review of Supreme Court cases compels an answer of yes – a warrant is required for a breath test, no – a refusal to consent to a breath test cannot be made illegal without violating the Fourth Amendment, and yes, advising a suspect that refusal is a crime punishable by imprisonment renders any consent given coerced and involuntary. Warrantless searches are presumptively unreasonable. Katz v. United States, 389 U.S. 347, 357, 88 S.Ct. 507, 19 L.Ed.2d 576 (1967). Where there is a warrantless search, the government has the burden of proving the legality of the search, that it was conducted pursuant to a recognized exception to the warrant requirement, such as exigent circumstances, consent, and search incident to an arrest. In United States v. Reid, 929 F.2d 990 (4th Cir. 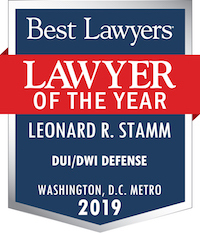 1991), the Fourth Circuit held that a warrant was not required to conduct a breath test during a DUI investigation because a breath test was a permissible search incident to an arrest and was conducted under exigent circumstances. However, Reid was overruled by McNeely, to the extent that it relied on exigent circumstances. United States v. Brooks, No. CRIM. PWG-14-0053, 2014 WL 2042028, at *5 (D. Md. May 16, 2014). The search incident rationale of Reid is also no longer valid due to the Supreme Court decisions in Arizona v. Gant, 129 S.Ct. 1710 (2009) and Riley v. California, 134 S.Ct. 2473 (2014). The final possible applicable exception to the warrant requirement is consent. However, where, the “consent” is obtained by a threat of incarceration, the consent is coerced and is not voluntary. State v. Won, 2015 WL 7574360, — P.3d — (Haw. 2015).